People research & technology insights is the launching pad for us to uncover and design relevant solutions around real people, their attitudes, unrealized needs and desirable outcomes. This enables us to design compelling and complete solutions and build long term brand equity by meeting and exceed customer expectations. 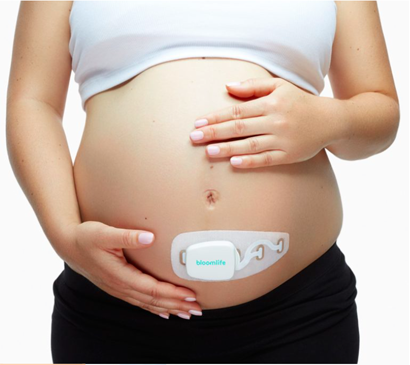 The Bloomlife device incorporates passive sensors to listen to the bodies natural bio-electrical signals and allows prospective parents to monitor contraction comfortably and safely, in realtime as well as document trends via the smartphone app. Our design for the platform is modular and flexible to incorporate a variety of sensors and wireless technologies, as well as sculpted for a range of body placement locations. It is therefore both comfortable and unobtrusive to wear, and has been used in a variety of other solution such cardiac and epilepsy monitoring. The Madsen Zodiac Tympanometer designed for GN Otometrics is designed to be visually friendly and easy to use while providing efficient and ergonomic tool for the audiologist. Based on user and operator centric ethnographic research it provides both screening and diagnostic probes, graphic visualization of data and operator feedback as well as a integrated report printer with compact unit that is easy to clean. GN Otometrics just released the Aurical fitting system for hearing assessment and hearing instrument fitting. The design project started with a multi-country ethnographic field research phase and multi-disciplinary pattern recognitions and vision workshop before the concept and design phases where initiated. 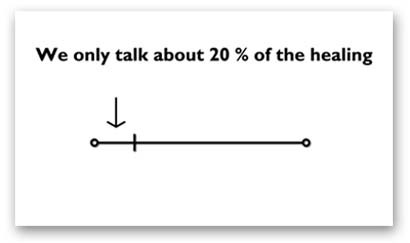 This allowed us to establish a shared understanding the users and their reality as well as a path forward. The solutions is a modular system allowing for easy integration into user workflows and environments as well as a design language reflecting a friendlier, easier, more contemporary and less clinical experience. 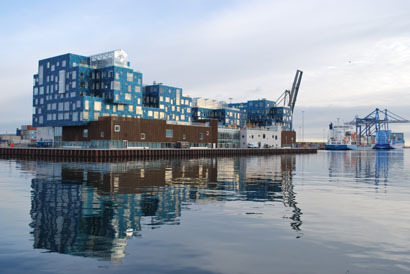 The Danish foundation for the support of art and design, The Danish Arts Foundation, in 2010 asked for visions from 12 designers exploring how hospitals of the future could be improved. My contribution ‘Aurora Humana’ is a vision to use of intelligent and dynamic light and sound to induce healing experiences for patients, visitors and staff. The central idea is that light and sound can influence us psychologically and physiologically as well modify our behavior. We have continued the development and have recently implemented a version for the educational environment at the new 25.000 square meter facility in Nordhavnen for Copenhagen International School. The solution provides day and seasonal lighting as well optimized task lighting scenarios in all spaces, but with direct local user override on wall buttons or smartphones. The school with its 12.000 custom designed solarpanels is one of the worlds largest BIPV sites and home to 1200 students from over 80 nation. The system incorporated microinterters to optimize poweroutput and to allow students to see how much energy their floor generates. As a board member I have been driving the the design, layout and social and facility sustainability goals in the design of the building, as well as the student centric focus to create the best in class learning and teaching environments for students age 3 to 18. For the Copenhagen International School we needed furniture that could provide the level of flexibility required and inspired a range of student and teacher tables. 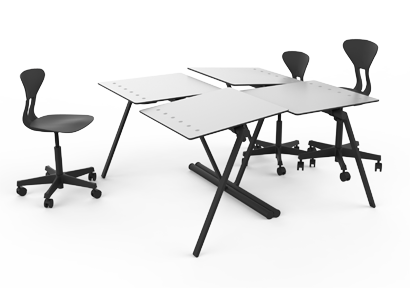 The tables are designed in single and double versions and with tilting tops that allow the individual student to chose their preferred angle as well as how they want to sit around the table for group work, but the design also allows extremely efficient storage of the tables. The integrated wheels allow quick, noiseless, adjustment-free and easy rearrangement. For the Copenhagen International School canteen we needed a table that was more mobile and could be rearranged or stored by a single person. The tables are adjustment free and because of the fully welded steel construction, both lighter and more sturdy that the traditional folding tables, yet store just as efficiently. 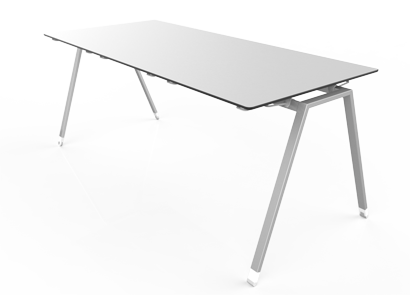 The system includes chair rails, inter-table locking, extension plates and a range of finishes. The flexFOCUS ultrasound imaging system designed for BK Medical was just awarded the prestigious iF 2010 Gold Award, the RedDot Award 2010 as well as the Japanese G-Award 2010. Through ethnographic studies, people driven innovation and design methods we created a completely new proposition and integrated solution, providing new user and patient experiences as well as improved productivity, ROI and ease of service. The system today consists of dedicated solutions for surgical, anesthesiology and urology with multiple form factors, installation solutions and interactions modes. From business and product strategy to operational design implementation, I have years of international experience ready to help you succeed. 2017 © Copyright and all rights reserved, anders smith design.